Rakuten has more than 100 million users and provides some of the most popular Internet services in Japan today. Terabytes of data are generated every day, and are made available for internal services and business analysts. We are looking for talented software engineers who have the passion and expertise to solve complex technical problems and ability to design and implement scalable distributed data processing systems. Familiar with the latest technologies and trends in software development, you will utilize your expertise to develop and maintain high-availability data analytics platforms capable of handling very large data sets. Our goal: Empower the world through innovative Internet services. 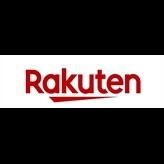 With more than 70 services and 14,000 employees worldwide, Rakuten is expanding globally with locations throughout Asia, Europe and the Americas. Cafe and Restaurants Onsite with a view on Mt. Fuji! Want to get notified about new jobs at Rakuten?